Villa Mariva, modern 3-bedroom villa with a beautiful contemporary interior design. The whole ambiance is luxurious and peaceful. Open plan interior has a warm and serene ambiance with large glass windows and doors allowing sun-rays to shine in. On one side of the living you will find the dining and living area with doors opening up to a pool terrace and on the other side there is a modern fully equipped kitchen. 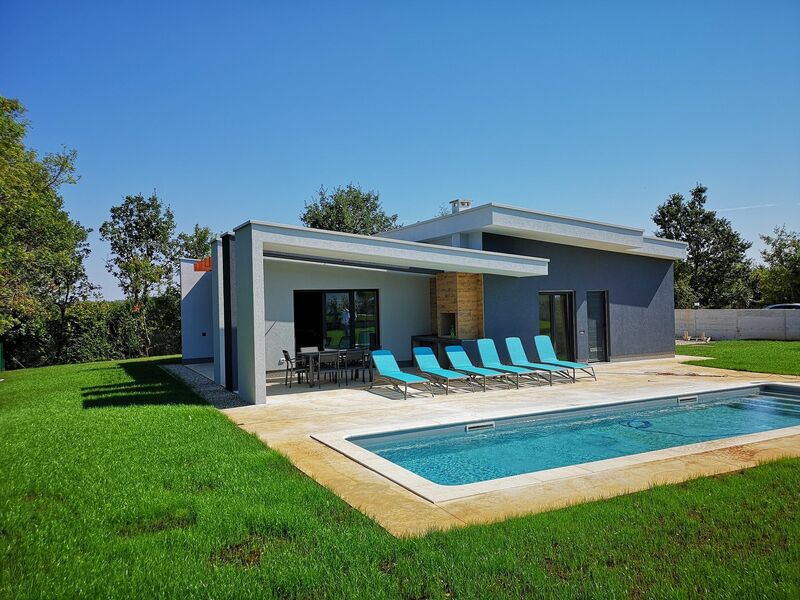 Villa Mariva welcomes you in it's lovely green garden with private swimming pool where you can catch a nice tan, lounging on one of the sunbeds or reading a book in the shade of the blue parasols. There is also covered terrace with a dining table and a modern BBQ. Villa has 3 modern bedrooms with double beds, each with air condition and en-suite bathroom.